Shopping for used cars in Swift Current presents itself with plenty of opportunities. With plenty of inventory and huge financial benefits for buying used, you should consider investing in a used car at Knight Dodge in Swift Current. LOW KMs, Bluetooth, Heated Leather Seats, Power Seats. 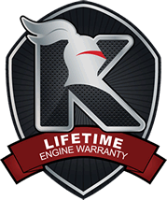 **Why Buy at Knight Automotive Group** We are one of the highest rated Automotive Groups in Saskatchewan. We treat all customers as family, each having different wants and needs. Although we would love to meet you in person, we are happy to provide trade values, best price and quote payments over the phone. We also know that you probably wouldn't buy a vehicle without seeing it therefore we could provide you with a personalized video, or even deliver the vehicle to you! Bluetooth, Heated Cloth Seats, Power Driver Seat, Power Windows, A/C. **Why Buy at Knight Automotive Group** We are one of the highest rated Automotive Groups in Saskatchewan. We treat all customers as family, each having different wants and needs. Although we would love to meet you in person, we are happy to provide trade values, best price and quote payments over the phone. We also know that you probably wouldn't buy a vehicle without seeing it therefore we could provide you with a personalized video, or even deliver the vehicle to you! Navigation, Blind Spot and Cross Path Detection, Power Liftgate, Remote Start, Radio/Driver Seat/Mirrors Memory. **Why Buy at Knight Automotive Group** We are one of the highest rated Automotive Groups in Saskatchewan. We treat all customers as family, each having different wants and needs. Although we would love to meet you in person, we are happy to provide trade values, best price and quote payments over the phone. We also know that you probably wouldn't buy a vehicle without seeing it therefore we could provide you with a personalized video, or even deliver the vehicle to you! Accident Free, Back Up Camera, Bluetooth, Back Up Sensors, Power Seats, Seats 7! **Why Buy at Knight Automotive Group** We are one of the highest rated Automotive Groups in Saskatchewan. We treat all customers as family, each having different wants and needs. Although we would love to meet you in person, we are happy to provide trade values, best price and quote payments over the phone. We also know that you probably wouldn't buy a vehicle without seeing it therefore we could provide you with a personalized video, or even deliver the vehicle to you! Accident Free, Low KMs, Power Seats, Remote Start, Sunroof, Back Up Camera, Bluetooth, Heated Seats! **Why Buy at Knight Automotive Group** We are one of the highest rated Automotive Groups in Saskatchewan. We treat all customers as family, each having different wants and needs. Although we would love to meet you in person, we are happy to provide trade values, best price and quote payments over the phone. We also know that you probably wouldn't buy a vehicle without seeing it therefore we could provide you with a personalized video, or even deliver the vehicle to you! Bluetooth, Back-Up Camera, Power Driver Seat, Remote Start, Heated Cloth Seas, Heated Steering Wheel. **Why Buy at Knight Automotive Group** We are one of the highest rated Automotive Groups in Saskatchewan. We treat all customers as family, each having different wants and needs. Although we would love to meet you in person, we are happy to provide trade values, best price and quote payments over the phone. We also know that you probably wouldn't buy a vehicle without seeing it therefore we could provide you with a personalized video, or even deliver the vehicle to you! Financial Benefits: By buying used, you’ll avoid paying for the depreciation that new vehicles invariably experience. You’ll also save money on taxes, insurance, and registration fees if applicable. VIN Report: The Canadian Police Information Centre keeps detailed notes about the VIN report, including theft, tickets, and other suspensions. Trade-In Value: However, keep in mind that your vehicle’s trade-in value will often be less than a comparable new vehicle. In the end, whether you’re looking for more horsepower or more amenities, our used inventory has you covered! For outstanding used cars in Swift Current, turn to the experts at Knight Dodge.